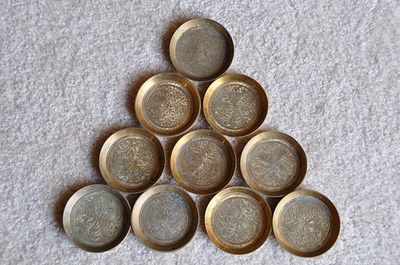 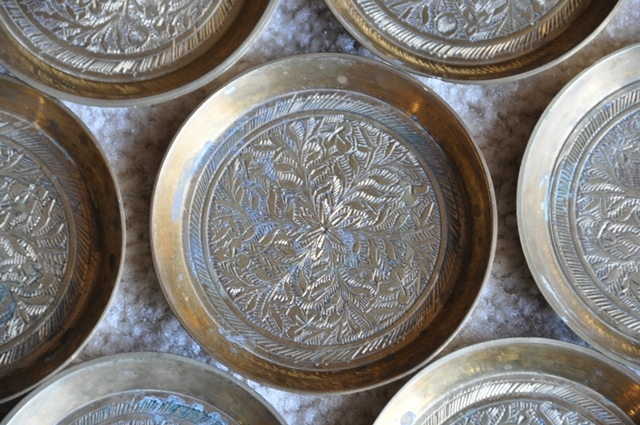 This is a set of 10 beautiful miniature brass trays from the 1950's. These were supposed to be used as ash trays, but they can be use for decoration instead. 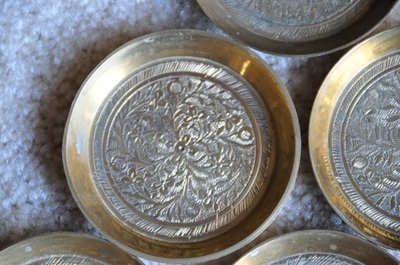 They are about 3" in diameter and has nice engravings. These were brought back by a pilot in the 1950's from India.